I’d like to take you back to 1996. I was just out of high school getting a taste of the working world before heading back to college. I was a PC gamer, and I played quite a few games of all different genres. 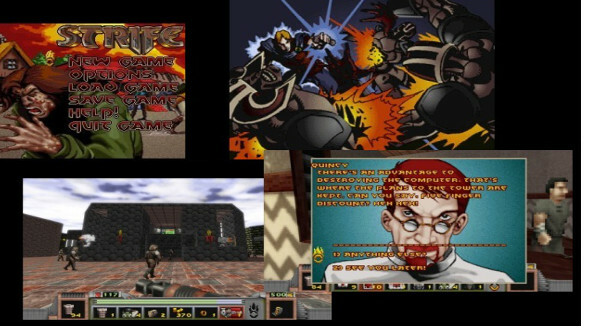 I specifically loved firing up my dial-up connection, resting a drink on a pile of AOL and CompuServe demo CD-ROMs, and scouring the internet for interesting Doom WADs. Only a select few of you will understand and associate with that last statement, and that’s okay. It’d been 3 years since Doom had dazzled us all, 2 years since its sequel, and I got tired of mazes and colored keycard searches. I was ready for something new. I really took a liking to finding total conversions for Doom. They were larger downloads and tough to find but well worth the effort. Basically, what they did was use the engine and assets to create completely new levels and games. New enemies, new sound effects–the possibilities were limited only by the technical prowess of those programming the mods. We were all downloading cool WAV quotes and sound effects to personalize our Windows events. 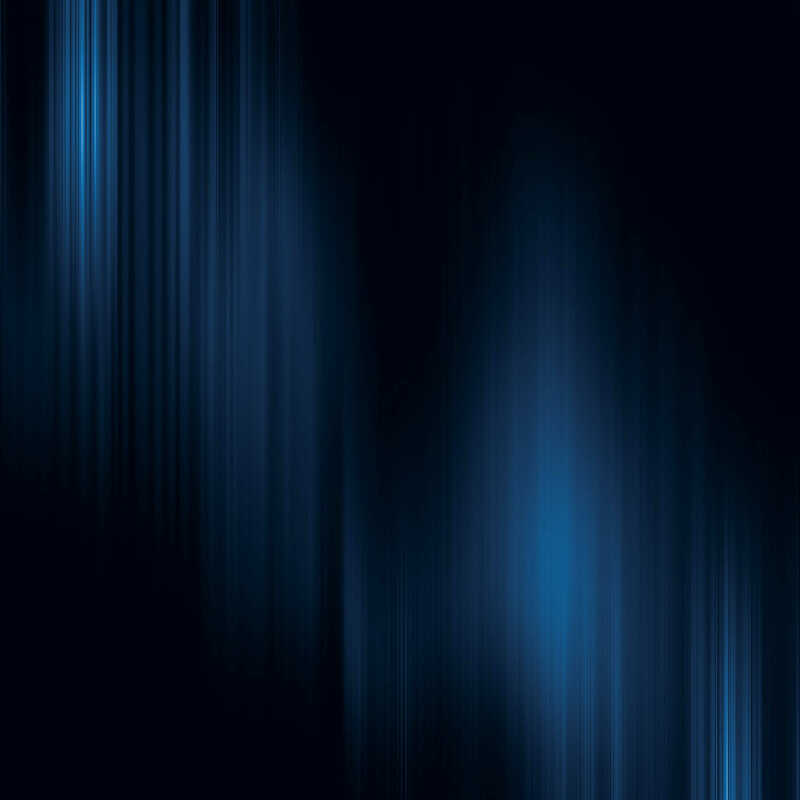 Programmers could take that one step further and use say, WAV files from Aliens to infuse authentic Xenomorph screams and pulse rifle blasts into a pixelated Aliens total conversion for Doom. Still, all of these mods (or WADs as they were called because they replaced the game’s WAD file that contained the assets and sounds for the game) left me wanting something more. Little did I know that I was about to find exactly what I was looking for and then some. Enter Strife: The Quest For The Sigil. This game looked like an interesting enough take on what Doom did as an FPS game, and I don’t even remember if the box description interested me or not, but I do know that I was not ready for how different Strife really was. Furthermore, looking at where games, specifically FPS/RPG hybrids, have come these days, I didn’t realize I was about to sit down and enjoy a piece of PC gaming history. Yes, Half-Life is considered the first FPS to successfully weave a cohesive story into a first-person shooter, but I’d argue that it built on the groundwork that was already laid by Strife. When I first booted up Strife, it didn’t look much different than Doom; the menus and even the font looked similar. Then a narrator began telling the story behind the game with comic-style stills in the background to illustrate the grim beginnings. While this intro was a nice change of pace, the game started off with the all-too-familiar “kill the guards” segment. I figured Strife was about to head in the same general direction most of the other mods I had downloaded over dial-up had before it. Honestly, I couldn’t have been more wrong. Branching dialogue choices as well as branching story arcs, multiple endings, the option to use stealth and stealth weapons, like a crossbow, to accomplish mission goals…. even the need to actually holster your weapons to avoid confrontation and walk around the common areas of the game containing NPCs helped set this game apart. Let’s not forget the previously mentioned voice acting, which included narration of the story and spoken dialogue for NPCs. The majority of all of this content was done in engine—no pre-rendered cut scenes and no FMV cut scenes either. The only caveat was that a comic-style portrait of the character would pop up during some of the dialogue options. While these features are staples of modern FPS/RPG hybrids like Fallout 3 and Borderlands, they were practically unheard of back in 1996. One has to wonder if Thief, which released 2 years after Strife, perhaps took some inspiration from the game’s crossbow and stealth. While the world marveled at System Shock, released in 1994, I hadn’t yet had the pleasure. For me it was Strife that ignited the early flames of my gaming enjoyment and opened me up to more varied games and RPGs. It took what I knew about games and completely blew the doors off. 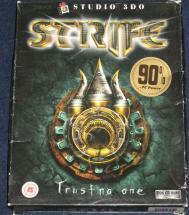 Strife was one of the first games I remember being more than pixels and blocks on a screen; it was truly immersive. All of that fresh nostalgia bubbling over is why I am so excited to see that The Original Strife: Veteran Edition hits Steam today. I honestly never thought I would see this game resurface, even with the possibilities of a licensing agreement bringing it to Good Old Games, and yet here it is in my Steam library. I am happy to be publishing this blog post about the resurrection of a fond memory of my gaming past and the exciting chance to finally relive it. Strife has been re-released today on Steam, under the new title The Original Strife: Veteran Edition and can be yours for the low price of $.9.99. To celebrate the launch, it will be discounted by 25%, to $7.49, until December 19th. The game has gotten an HD upgrade to work with modern systems and resolutions, and they’ve even gone in and added some of the promised features that had to be cut from the original game. This includes mostly minor tweaks but also a “Capture The Chalice” multiplayer mode that was planned but not completed the first time around. If you are familiar with the game, or if you enjoy retro C games, this is one that you definitely want to pick up. I have my copy and I look forward to diving in to the combat and deception and be able to review it! I certainly don’t have anymore knowledge about this than the readers do, but I can only hope that they chose to call this HD upgrade “The Original Strife” as to separate it from being confused with an all new entry into the franchise? We’ll have to wait and see, but until then, I’m happy to relive old memories with this title! This entry was posted in Blogs, Post and tagged Night Dive Studios, Rogue Entertainment, Strife, Strife: Quest For The Sigil, Strife: Veteran Edition, The Original Strife: Veteran Edition. Bookmark the permalink.